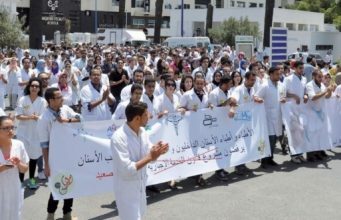 One man was killed in a demonstration in Tunisia on Sunday when soldiers fired into the air to bring the crowd under control. 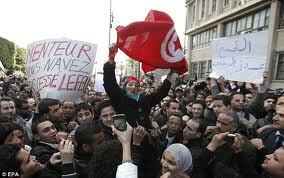 It was the first reported death in a wave of violent protests that have hit Tunis and other cities. “One civilian was killed yesterday evening in Sidi Bouzid when soldiers fired into the air to disperse rioters who had attacked the soldiers,” a Defence Ministry official, Colonel Marouan Bouguerra, told journalists in Tunis on Monday. Sidi Bouzid is the town in central Tunisia where a young man killed himself by setting himself on fire last December, providing the spark that set off the Arab Spring revolutions now convulsing much of the region. The rioting is the starkest sign to date of the friction between Tunisia’s secular establishment and Islamists who have been growing more assertive since the country’s autocratic leader was ousted in a revolution six months ago. The government has said the rioting was orchestrated by extremist groups trying to undermine stability. Sunday’s violence was sparked by an incident on Friday when police, trying to break up an anti-government demonstration in the centre of Tunis, fired teargas inside a mosque. In the Intilaka district in the west of Tunis, about 200 youths — many of them with the beards typical of Islamists –set fire to a police station. In the town of Menzel Bourguiba, about 70 km (45 miles) north of Tunis, four police officers were wounded in clashes with rioters, a police source told Reuters. Tunisians overthrew autocratic leader Zine al-Abidine Ben Ali in a revolution in January that inspired uprisings in Egypt and elsewhere.